Unifying a brand identity across all customer touch points. 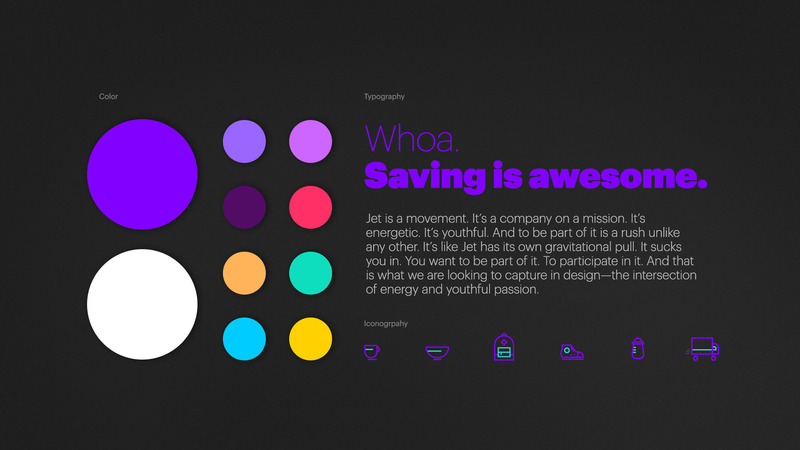 How do you create brand consistency to reinforce Jet’s position in the market place? Visual Flexibility: We built a robust brand language that is endlessly adaptable and immediately recognizable. Codifying the Brand: We created easy-to-reference brand identity standards and guidelines to ensure compliance and coherence in all of the brand’s manifestations. 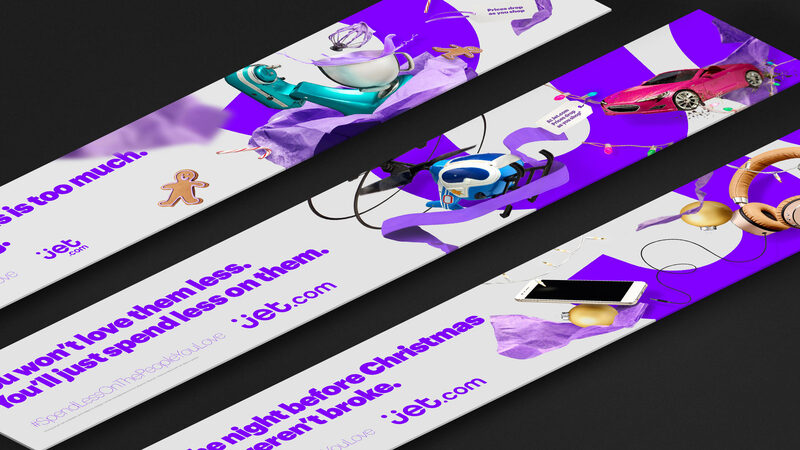 Kinetic Gifting: For Jet’s holiday campaign, we created digital and OOH creative that featured weightless products that work together conceptually to tell a larger product-centric story with festive non-secular holiday vibes. Photography Tiers: We created photography guidelines to inform the visual style for their site, category bundles and campaign creative. 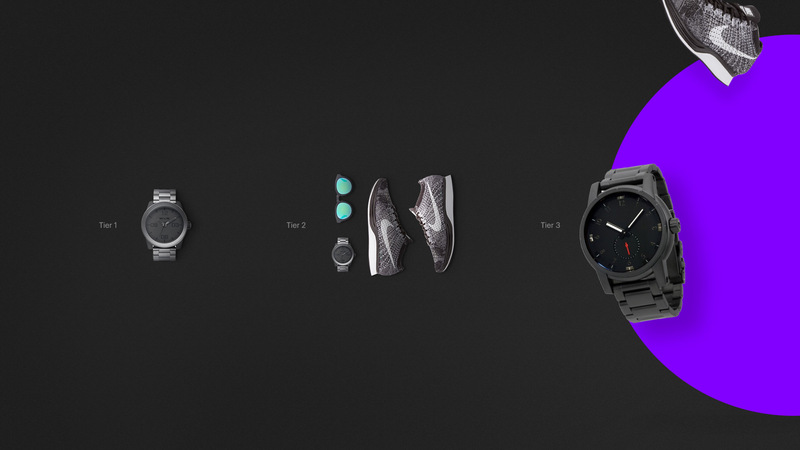 The style includes a weightless aesthetic with casted shadows and implied movement that bring the products to life. 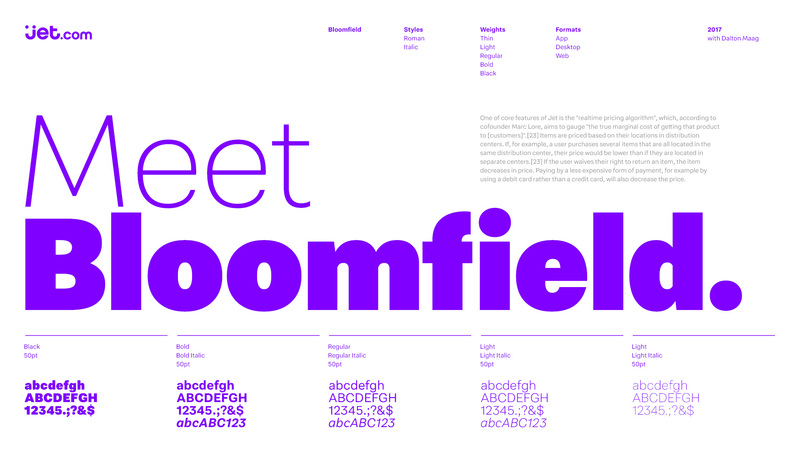 Custom Font: We partnered with Dalton Maag to create a new custom font for the brand. 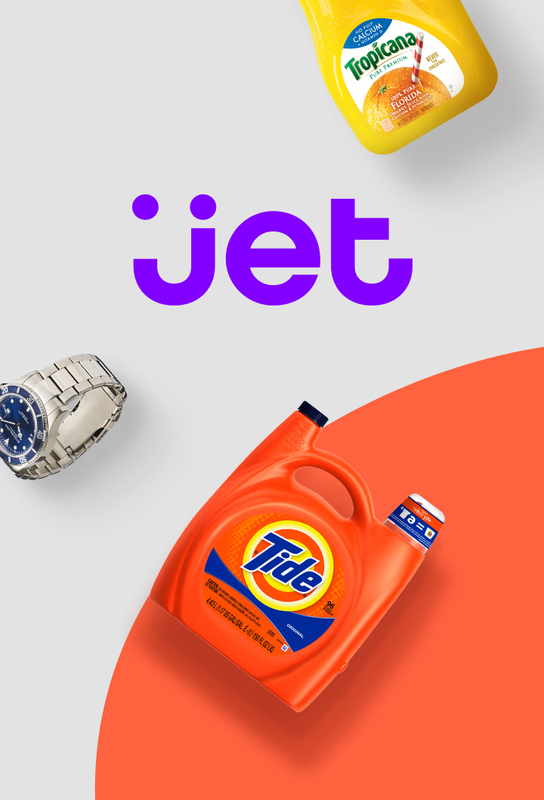 As Jet.com, an e-commerce site that was acquired by Walmart for $3 billion, was preparing for their next growth stage, they found that their brand identity was becoming scattered and disjointed across their many customer touch points. They asked Firstborn to create a unified brand identity that consistently represents the brand’s visual style and could be rolled out across their company, partners and vendors. From product photography to tone of voice, we armed Jet with the building blocks to create a consistent and fluid brand identity. 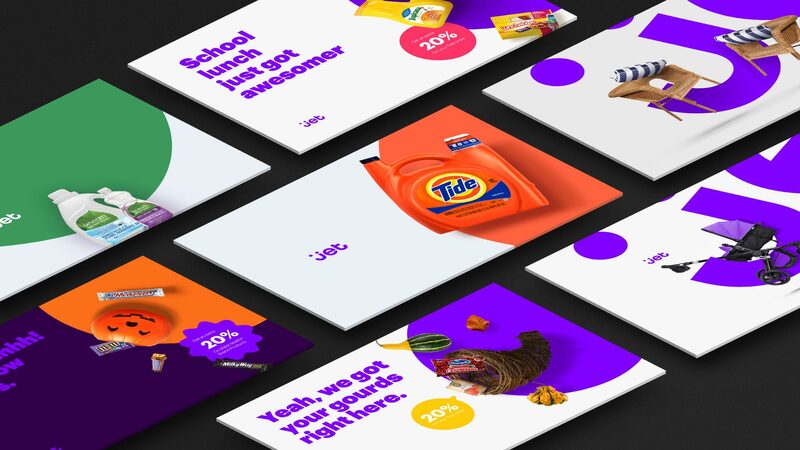 Whether they are creating day-to-day on-site assets or high-concept, campaign-driven advertising, Jet now has the design tools and guidelines to create stunning and consistent visuals. Jet also tapped Firstborn to support their #SpendLessOnThePeopleYouLove holiday campaign, which was rooted in the belief that you can still buy someone a nice gift without hurting your bank account. We created banner ads and out-of-home creative to bring the campaign to life and drive sales in their busiest time of the year. We created a unified brand identity and system that cuts through the noise and clutter of the crowded eretailer landscape. No matter how customers come into contact with the Jet brand, their experience is consistent and the brand is now more recognizable.